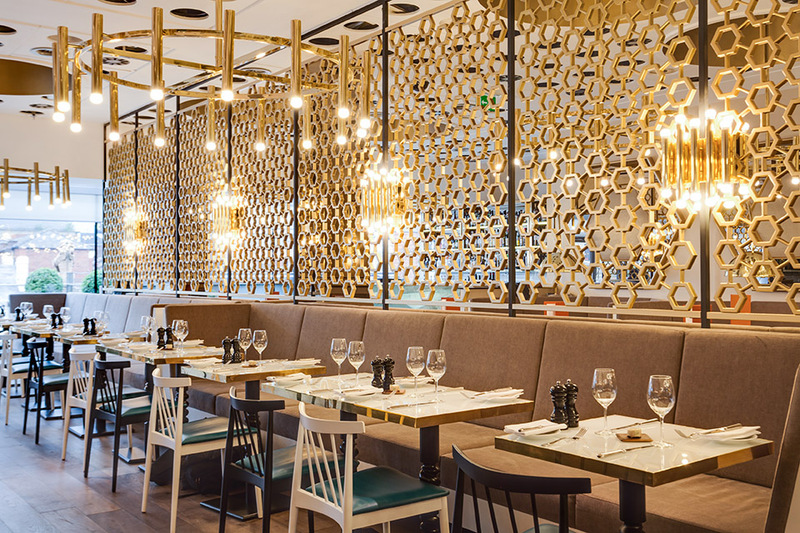 Why not treat your little one to a delicious special kids menu at Harvey Nichols? Menu is a sample. Booking required. Book online for free text confirmation or call 0113 415 0271. 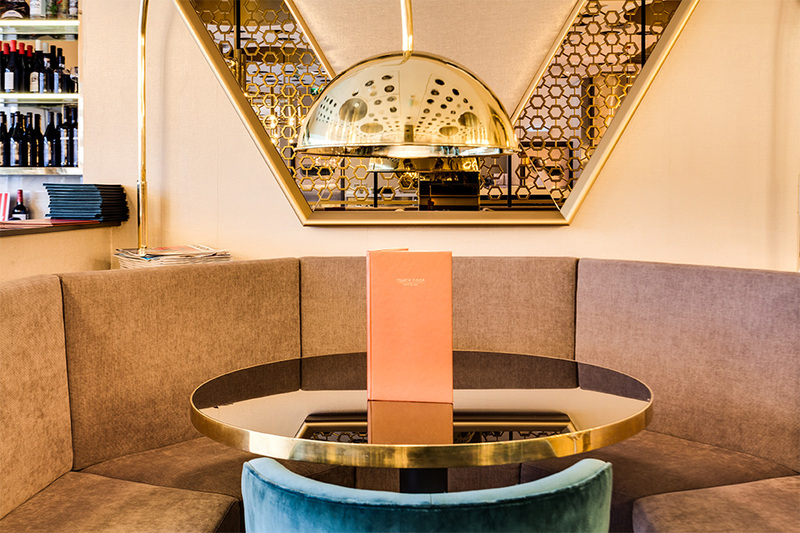 Start your morning off right with a full English, Harvey Nichols style. For only £12, you can tuck into dry cured bacon, Yorkshire sausage, black pudding, grilled tomato, mushroom. baked beans, fried egg and toasted farmhouse bloomer. Available until 11:30am. Book online for free text confirmation or call 0113 415 0271. The breakfast was perfect spoils somewhat by drinks.Small teapot of very weak tea and cup of coffee.Much better to be offered coffee refill and stronger tea with extra boiling water. Fab lunch everything tip top will be back soon. Friendly waiters made us feel well looked after and very welcome. The chicken salad was delicious and very filling, it was packed full of all the good stuff! Fantastic value 3 course meal deal. Never disappoints. Lovely atmosphere. Delicious 3 course Winter menu. Excellent value. Service very good. Excellent all round, great atmosphere and lovely food. The food was gorgeous definitely recommend and will be back! Fantastic staff and gorgeous meal. A loveky place to celebrate my daughter's birthday with all the family. The best bit about it was definitely the food, it was delicious. Nice atmosphere and good service. Ambiance a bit like a cafeteria rather than a restaurant. Service was a bit slow. However, the food was very good and we did enjoy it. I regularly eat at the restaurant annually at this time of year, I did notice that some lovely touches had gone like the bread choice and locket butter on the cheese board too! Previously little tasters had been sent out too - too many little corners have gone losing HN as my favourite restaurant in Leeds - sorry - bring back the little touches! Fantastic Christmas meal. Food to die for and the service was first class. Will definitely be back for more. Everything really great. A very enjoyable meal. Food was great, staff friendly and professional. It was also nice to listen to live music whilst eating. Expensive and small portions. Very mediocre vegetable at £4 Desserts one ok one dire. Ambience dreary for an early pre theatre supper. If you don’t turn right for your table as you enter forget atmosphere. The waitress was nice. £95 for two small steaks chips two desserts and three glasses of wine. Nice food but the portion sizes are a little on the small side. As a frequent diner it would be nice to see a couple more choices on the pre-fix menu. Please bring back the bread and butter if not only to be an accompaniment for the soup! They seem to have stopped serving this - don't let cut backs spoil things. Overall good value and great venue for a vibrant lunch with family and friends. Excellent as usual, the singer on the night was awesome. Food was delicious and service was excellent however I'd not been on a Saturday late afternoon before and it was very busy which meant it was very noisy and difficult to hear each other over the table. This got worse when the singer started so we had to leave despite having paid for unlimited prosecco which was a shame but still overall enjoyed it and would happily return. Everything about the meal the service and attention to detail was exceptional. Always the happening place to be in Leeds. Fab atmosphere and good food. Excellent meal - good consistent service! Amazing experience, high quality food and brilliant service. Will definitely come back a third time! The three courses are all delicious and valuable! Also, the Live music on Saturday night is recommended. A lovely experience we had with our families and friends. Amazing food great quality fantastic service and great value for money. Fantastic place, lovely food, Good service very reasonable Prices, would recommend Harvey Nichols to all my friends. We were greeted very well and offered a wonderful beautiful bread, the pea mousse starter wasn’t to my taste but can’t fault the plaice main or the strawberry mousse, the brownie was a little dense. The service was amazing and value for money. It was truly lovely, been few times but this time it was all spot on. Thank you. Our second meal there and will go back! A wonderful meal with friends. Almost too pretty to eat but all tasted fabulous. Great service and lovely surroundings. Once again we had a fabulous lunch. The food was really superb with a fantastic choice and was so elegant and tasty. Always a lovely a lovely occasion, love coming here when we are in Leeds. Fantastic atmosphere and lovely food as always. Staff very friendly and switched on a pleasurable birthday lunch. Excellent as usual... fantastic set menu 3 x courses £22. Fabulous service and busy atmosphere. Really enjoyed the food and the service was great. Highly recommend! Absolutely lovely, would absolutely recommend. The meal and the staff were great. We had a wonderful evening. It was great value, we will defiantly be booking again. Five of us had Christmas lunch in Harvey Nichols Fourth Floor Cafe. The food was excellent but we didn't enjoy the noisy background music which made conversation difficult. Lovely food served by excellent staff in nice surroundings! Eaten here several times and it never disappoints. 3 course meal with a glass of prosecco - excellent value. The overall experience was fantastic. The staff were very polite and made sure the service was outstanding. The food was great and value for money. Utterly delicious meal. Exceeded expectations. The honey cake with strawberries and Mascarpone was spectacular! Will visit again soon! Overall exceptional, loved it all! Had a lovely lunch there! Had window seats and the view was nice! Service was excellent! Well presented tasty meal and good service. All ingredients cooked well. Balanced portions, interesting combinations. Set menu and cocktail brilliant value, if a little light on the gin! Pricing an encouragement to eating out . Buzzy atmosphere. You get so much right. A great meal. The chicken was beautiful and the three pudding we all shared were to die for. Service excellent. A little misunderstanding about whether the cocktails were included or not but Ben sorted it out quickly and professionally. Thank you Harvey Nichols. Good food, great value, attentative staff. Highly recommend. Excellent experience at Harvey Nichols for a lunch time venue with the girls. Food was lovely as always. Only criticism is that the main came out within minutes of the starter plates being cleared that I didn't even have the chance to visit the ladies. They kept it hot which didn't affect the quality otherwise I would have said something. Would definitely come again! For value for money the 3 course for 25 is good value although the details in the actual food has a few critical mistakes. The food lacked flavour very nice presentation but flavour no. The desert was also in my opinion too basic and almost thrown on the plate. I would recommend the good service and atmosphere although attention to detail to the food needs improving especially when there is competition at the man behind the curtain over the road above flannels. Food very good and friendly service. However I was not too keen on the look of the place, too much glass and plastic. The music was not to my taste and too loud, but that probably reflects my age - will still go again. Great table, lovely food, excellent service, couldn't fault it! Wonderful experience, outstanding value for money! 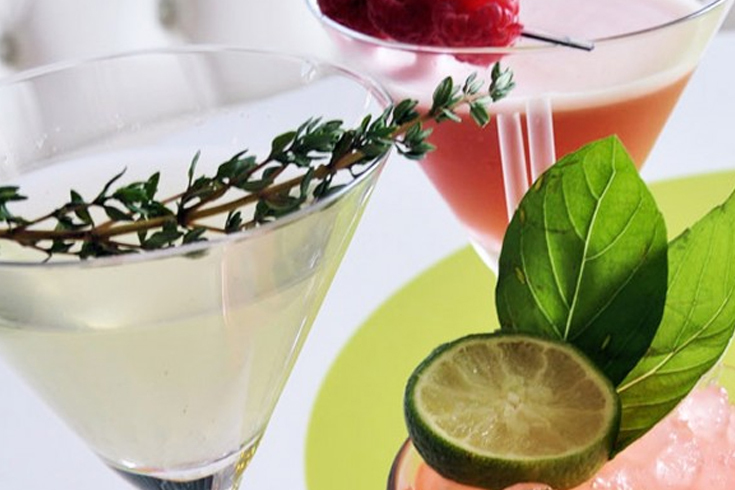 A wonderful meal and cocktail for only £25.00 at Harvey Nichols. Amazing food perfectly cooked and fantastic presentation. I had the spinach and wild mushroom roll. The roll was extra crispy and a joy to eat. My daughters soup was an work of art and a joy to see. We both had the lamb with melted in the mouth and the presentation again was a work of art. For desert my daughter chose the hazelnut cake and declared it's the only cake she will eat now. I had the cheesecake and it was better than my own. A wonderful meal and a more than reasonable price! Quality food, fine dining.Service efficient and friendly. Excellent food/service and value for money. Will book again! Another really good meal at Harvey Nichol's and an all round good experience with friends who traveled a long distance. It made it worth it for them. A very pleasant experience. The staff were pleasant and helpful. The food delicious. 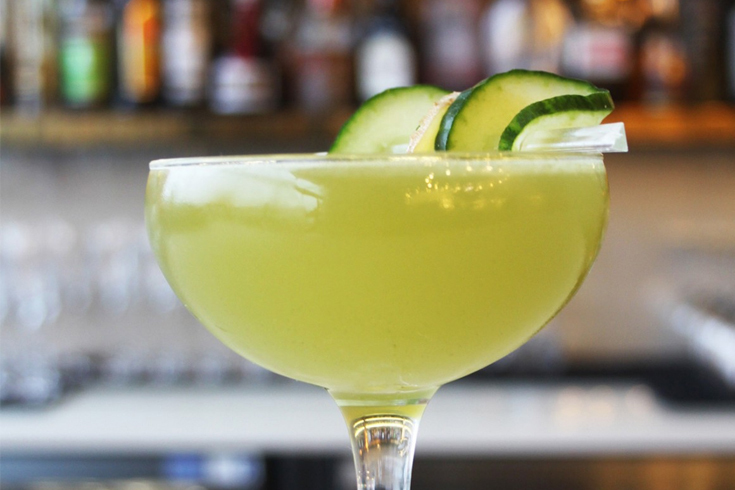 Everything about our experience at Harvey Nichol's was excellent-the food was interesting and varied, the drinks menu was extensive and the staff could not have been more informative and helpful. Excellent meal, good service. We love to come to Harvey Nichols. Always enjoy the good food & ambience. 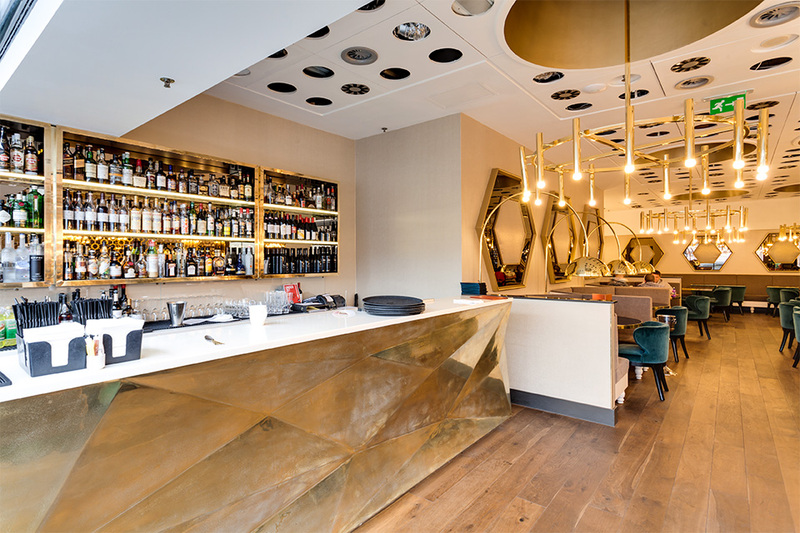 This was out first with go dine at Harvey Nichols and we wernt dissapointed ambiance service food was first class could not fault it at all good value for money will most defintley be returning. Only downside is that the tables can be too close to the next table. The standard of food, presentation and value could not have been better. Well Done Harvey Nicks! I cannot wait to book again. Cannot fault it Food delicious, beautifully presented. Service first class, attentive but not intrusive. A lovely start to Christmas. Will be back! Great menu at Harvey Nichol's, the ox cheek starter was fantastic! Staff were all very friendly and polite, I received the incorrect starter and they changed this straight away for me and couldn't be more apologetic (I wasn't that bothered but was very impressed with the service). Food was gorgeous and well priced. A really civilized evening out! Had 3 course Sunday price fix meal. Food selection was good and very well cooked and presented. Good lively atmosphere with good service, no undue waiting between courses. Wonderful meal at Harvey Nichol's, delicious and worth every penny. Excellent service, can't wait to return! Great welcome from staff, good service, lovely food , looking forward to visiting again! My friends and I enjoyed our meal, the service was excellent and it was good value for money. Fabulous refined Saturday afternoon lunch to build up my husbands stamina before heading to the shops! We've become regular diners at Harvey Nichol's on a Saturday afternoon with our 2 year old. The service is great, the food delicious and the atmosphere is fab. The children's menu is great for our daughters pallet too! Excellent value for money at Harvey Nichol's. Can't wait to go again when I'm in Leeds! Excellent service and value at Harvey Nichol's. Food choice for a Saturday evening was somewhat limited though and ambience was more like that of an up market café rather than restaurant, but the four in our party really enjoyed the meal and experience and would certainly go back. 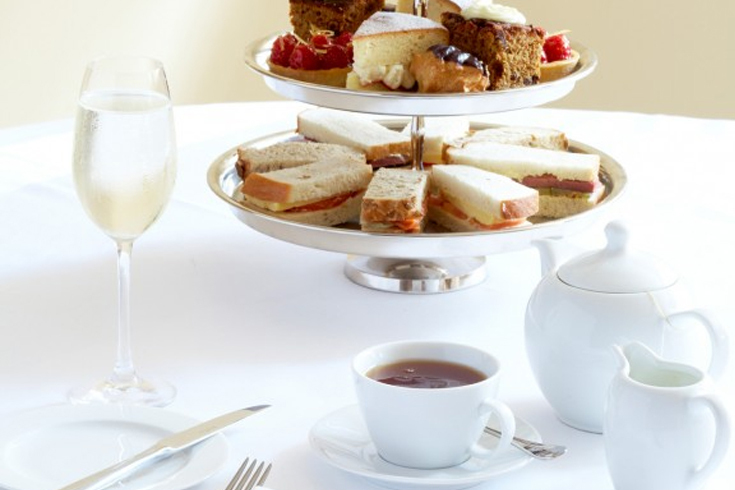 Really enjoyed afternoon tea, felt it wasn't overpriced due to quality of food. Yes, very enjoyable. We do it every year as birthday treat for my granddaughter and she looks forward to it BUT, regret to say that we didn't enjoy pre-lunch cocktails in bar. Bellini ok but margherita too bitter and my Canadian sour not nice at all. A lovely meal at Harvey Nichol's & a nice mid week treat! Very enjoyable evening, lovely food & excellent service. Will definitely be back to Harvey Nichol's Cafe soon. Excellent food and service at Harvey Nics 4th Floor Cafe. Excellent experience at Harvey Nichols Fourth Floor Cafe as always! This was our second visit to Harvey Nichols Fourth Floor Cafe and again we received excellent service. The food was just perfect, my husband paid £7 extra for the steak option and said it was worth it as it was delicious. Happy to return when the special set courses are available. Busy restaurant (which is rarely a bad sign!) Great service, lovely food and a feel-good vibe throughout. Will be going to Harvey Nichols again on our next shopping trip into Leeds. Faultless meal at Harvey Nichols Fourth Floor Cafe, if a touch on the expensive side. Great place to go for a special occassion, I had the butter roast beef fillet and my partner had the sea bass. We were both very satisfied with the quality of food. Out waiter was also extremely helpful and welcoming.Will be recommending Harvey Nichols 4th Floor cafe to friends. We had a very enjoyable meal on Christmas Eve and would book again in the future. The ambiance was brilliant and it would appear that several customers knew each other which lead to a really good atmosphere. Would suggest that all customers received the same treatment though as we were not served as quickly as the regular customers. What an excellent restaurant. Fabulous food, lovely staff great ambiance. Oh and fabulous cocktails. Excellent value, food superb & staff very helpful & attentive but not overbearing. Would highly recommend this restaurant. Nicely situated too with good views over the rooftops. 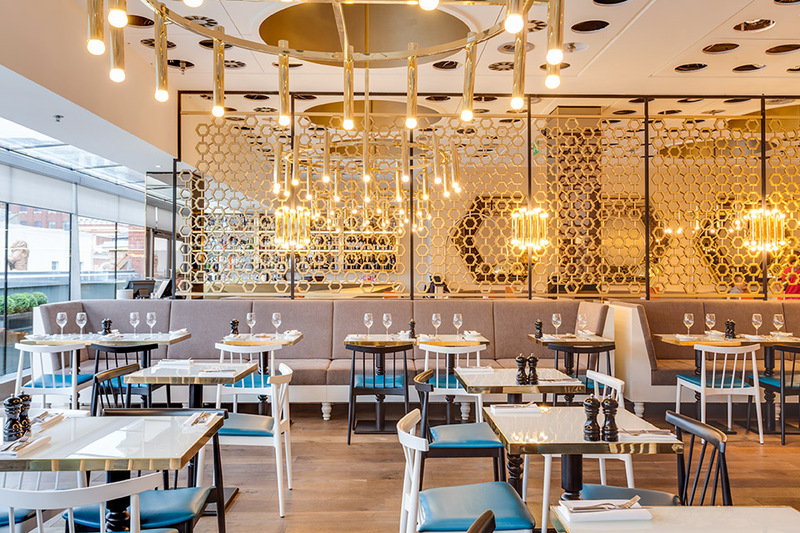 Situated within Harvey Nichols, the Fourth Floor restaurant is a haven for shoppers looking to dine and relax before or after a day in Leeds' busy shopping hub. 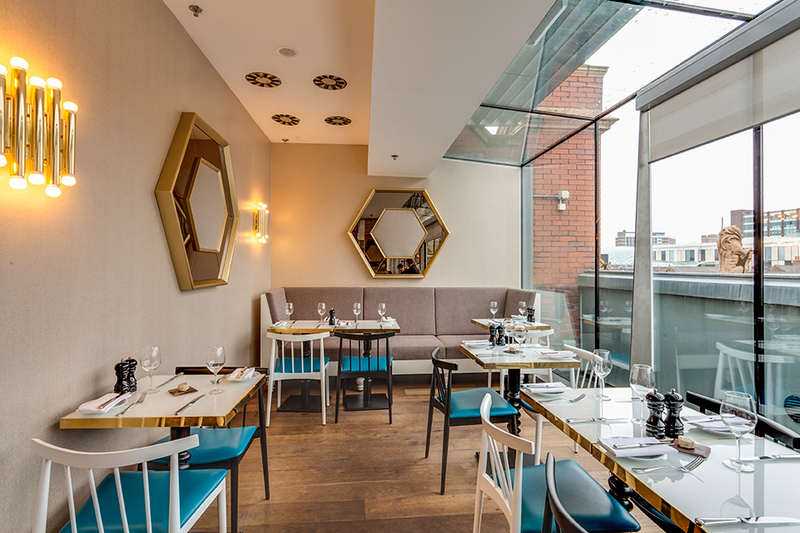 Its location in the heart of the city centre makes it ideal for anyone who fancies escaping from the hustle and bustle for an hour or two: Harvey Nichols is the place to enjoy delicious food, a stylish setting and stunning views across Briggate. 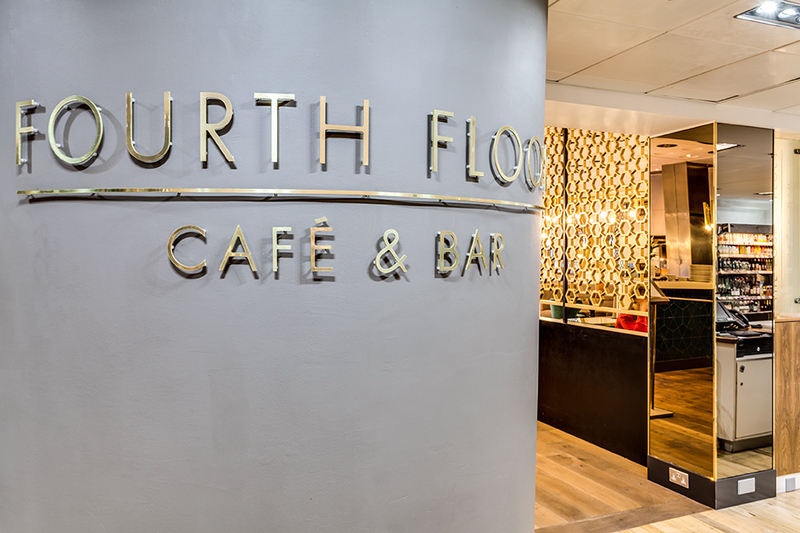 The Fourth Floor Café is perfectly placed: you can go from tills to petit fours in less than thirty seconds, allowing you to lighten the load as you swap shopping bags for cakes, nibbles or a full 3 course lunch or dinner. The restaurant is light and airy, benefitting from floor to ceiling windows that run the length of the room. 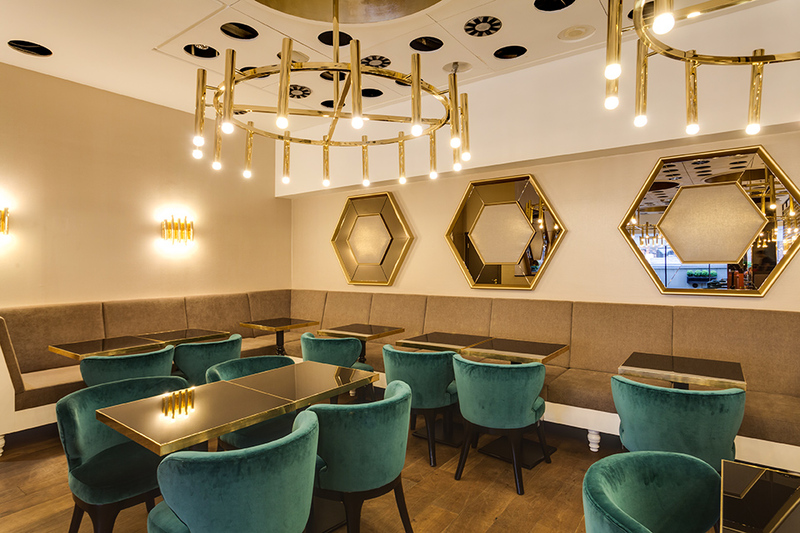 With a neutral colour scheme and stunning interior features, the Fourth Floor café is a slice of calm in the midst of the busy city. 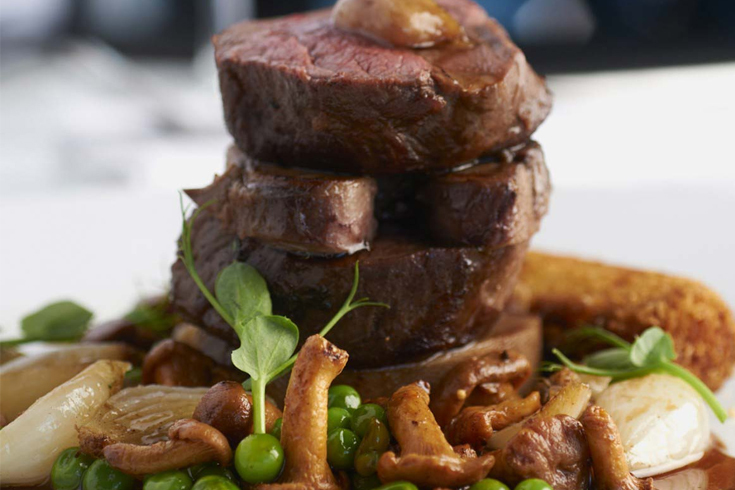 Harvey Nichols serves classic British dishes, including a selection of tasty salads, tantalising starters and perfectly executed mains, all for incredibly reasonable prices. Head Chef Richard Walton-Allen practises a farm to fork mentality, sourcing as many of his ingredients as possible from local Yorkshire breeders, farmers and growers. When seasonally available you can expect to see dishes such as the roasted cod fillet, crab ravioli, pak choi, miso broth; roasted beef fillet, shallot and beef tarte Tatin, spinach puree, charred baby gem lettuce, truffle jus. Desserts include the milk chocolate and marshmallow tart, passion fruit granite, raspberry gel and the St Clements cheesecake with lemon sherbet: trust us, you won't be able to resist! If you want stunning views, delicious locally-sourced produce and an excellent excuse to browse the store on your way back down, then the Fourth Floor Café is the place to be. 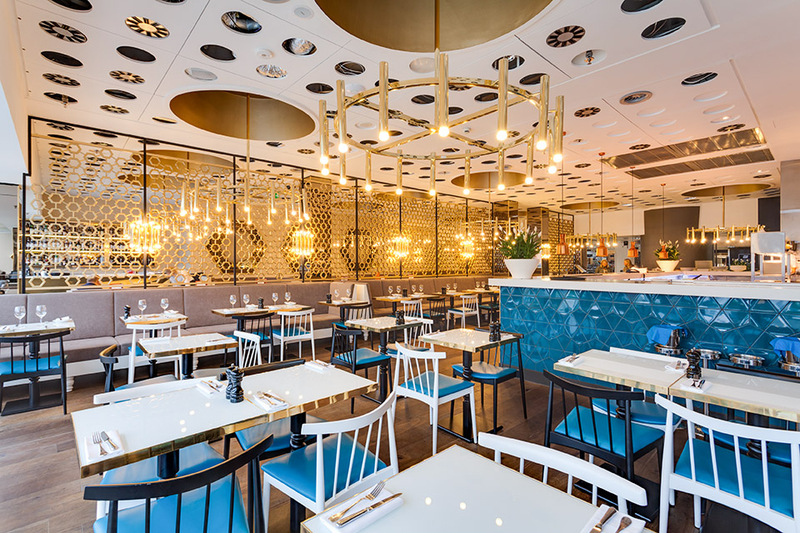 Why not treat your little one to a delicious special kids menu at Harvey Nichols? Menu is a sample. Booking required. Start your morning off right with a full English, Harvey Nichols style. For only £12, you can tuck into dry cured bacon, Yorkshire sausage, black pudding, grilled tomato, mushroom. baked beans, fried egg and toasted farmhouse bloomer. Available until 11:30am.